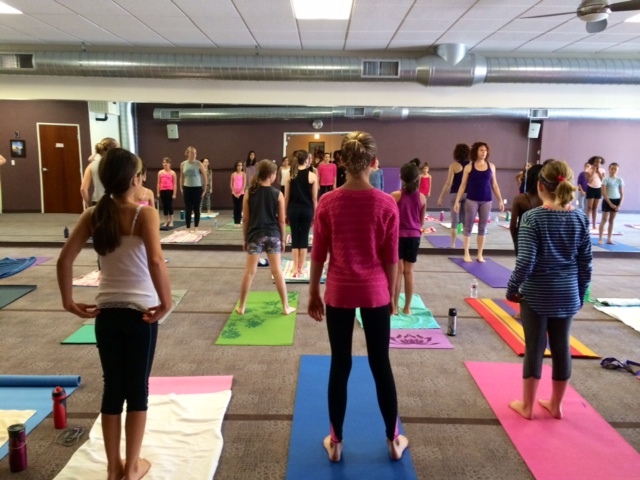 I really can’t express how much I enjoyed teaching my first public Yogival Preteen and Teen yoga class on Saturday April 11th. This class is a passion project for me and I am very excited to have experienced such an amazing response from the girls to my new class I specifically created for a preteen and teen audience. I wish that I had this class when I was a preteen! Middle school was a terrible time in my life. I was confused about who I was and how to navigate endlessly shifting friendships (or lack their of), pressures from boys and almost constant emotional bullying. I can still look back and remember how it felt. I feel very empowered to combine my experience of teaching yoga for 17 years with my passion to give young girls the tools to have a positive relationship with their strong and healthy bodies and to feel good about who they are. This subject is also personal to me because I am raising 2 little girls. I have a lot of fear about how they will experience middle school and I think that one of the most important gifts I can give my girls are the tools to develop a positive body image, (not one dictated by a pop star) self-esteem and confidence balanced with compassion and respect for others. I also think that when girls feel better about themselves and more confident in their choices, that the line of communication stays open to parents and teens so parents can support teens during tough times. 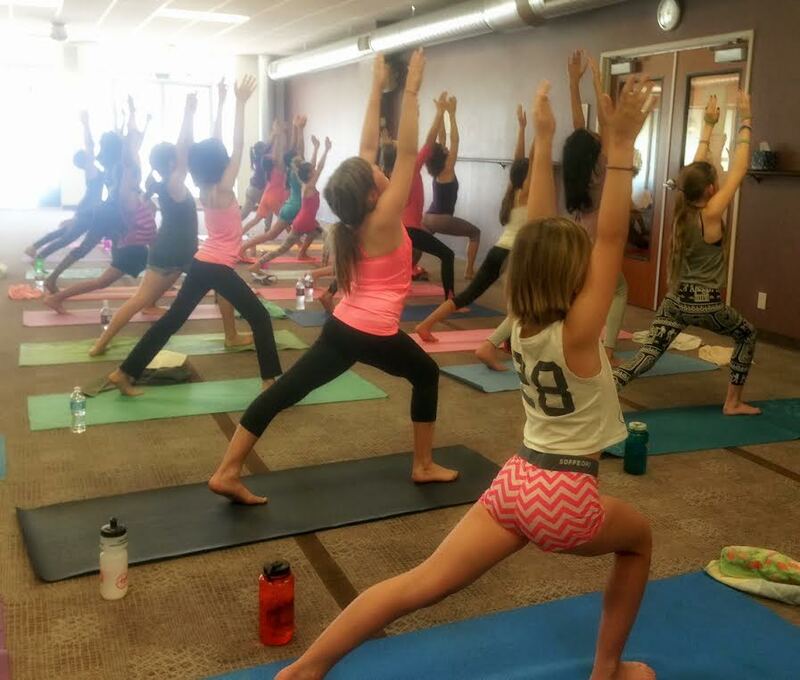 I think my preteen and teen yoga class is an excellent tool to share with all preteens and teens, and I am thrilled I have the opportunity to do so at my yoga studio. I don’t think my middle school experience was unique. I have often chatted with other women, including those I knew in middle school, and we lamented about all our different challenges. But I also saw the experience as a learning opportunity. Even by high school, I decided I would not let all of those horrible experiences define me, and instead I set out to discover who I was and to unapologetically live my life to my full potential. Even if it meant navigating unchartered waters. I also worked on being a good friend, avoiding cliques and nurturing friendships that were meaningful and important to me. (My most enduring friendship with my best friend Weezy, aka Lisa Z, continues to this day.) After years of suffering bullying in middle school, culminating in my disastrous hip break (that went undiagnosed for 3 months before breaking it) I went to high school with renewed purpose. No one was going to tell me how to feel, dress or decide what I would do with my life. I felt like fate intervened right when high school started. On the first day of high school, I met a girl from my middle school that I never got to know. (She was a bit of an outcast there too as she had to wear a back brace all through middle school.) This was the beginning of friendship that remained intense and strong during high school and continues in a more casual way to this day. Allyson and I explored new wave music, dancing at clubs till the wee hours, shopping at thrift stores, piercing our ears and wearing tons (I mean tons) of makeup. I am not professing to be an expert on how to make middle and high school easier, or that there is a one size fits all solution. These are changing times and there are positives and negatives to our day and age where social media is rampant and the electronic age gives our kids instant access to images and interaction; often to things they are not ready or equipped to see. Unfortunately, it also makes bullying easier and more pervasive as well. What I do find, is that when kids have a good self-image, a positive relationship with their bodies and fill their time with activities that fulfill them, they experience less bullying. I think my Preteen and Teen yoga is a creative way to discover a positive internal dialog, the beginnings of good posture and strength and an outlet to have fun while discovering a strength within that is stronger than they previously realized. Also, lets be real, the girls are learning that staying in shape, strong and flexible takes work. It does not come from sitting on the couch. Private and semiprivate classes are available. I am also starting to offer parent and teen classes to private groups. Please contact me to set up a private group of family class. To purchase tickets for my upcoming class this Saturday, May 9th at my studio in Pasadena please go here to fill out the waver and to purchase. Early bird pricing goes through this Friday, May 8th. After May 8th it’s $15 at the door if space is still available. Looking forward to seeing all of your smiling faces!